Beautifully maintained and smartly renovated home in the quiet, meticulous Springdale neighborhood of Western Springs. With a modern open-concept that&apos;s chic and sophisticated, this brick split-level home has been revitalized and made relevant to meet today&apos;s expectations. First floor renovation including a truly open concept, stunning kitchen with quartz counters, gorgeous style and clear, open sight-lines to the living and dining areas. Almost all newer windows, newer white doors, trim and crown molding. Hardwood floors and new light fixtures. Three updated, beautiful full baths including a master suite with dual closets. Professionally landscaped front and back yards featuring an entertainment-sized paver patio and fully fenced yard. New stainless steel appliances in kitchen and new washer and dryer in large laundry room. Freshly painted throughout. 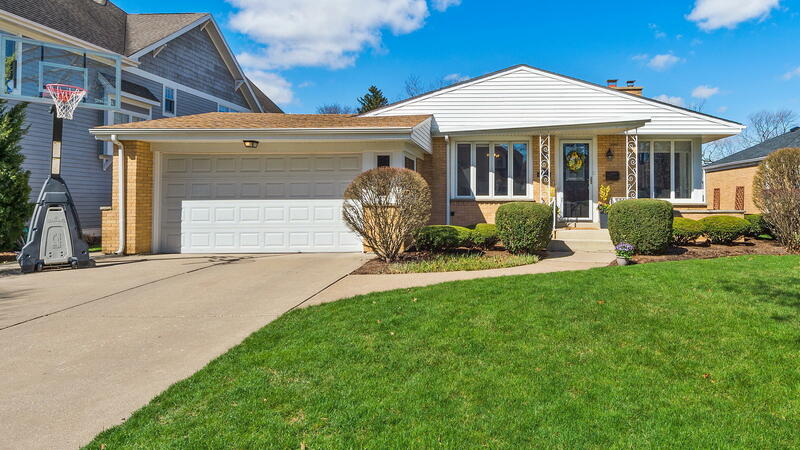 Located close to parks in highly regarded Highlands District 106 and Lyons Township HS 204. This home is simply awesome!